I love circle weaving...and 3rd grade will be creating their's next nine weeks!! 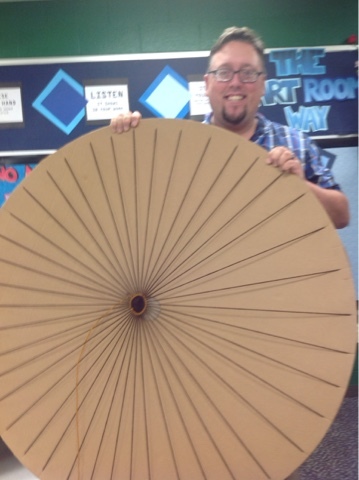 This summer I received this amazingly huge cardboard circle from an art teacher friend. I knew I had to create a giant circle weaving!!! I JUST HAD TO!!!!!!! So it has begun. I'm sure I'll not finish this year, but I am going to have fun trying!!! Oh no....It will take me forever to do mine. The 3rd graders do their circle weavings next nine weeks. I usually give them 4 class times start to finish(so that is 4 weeks).